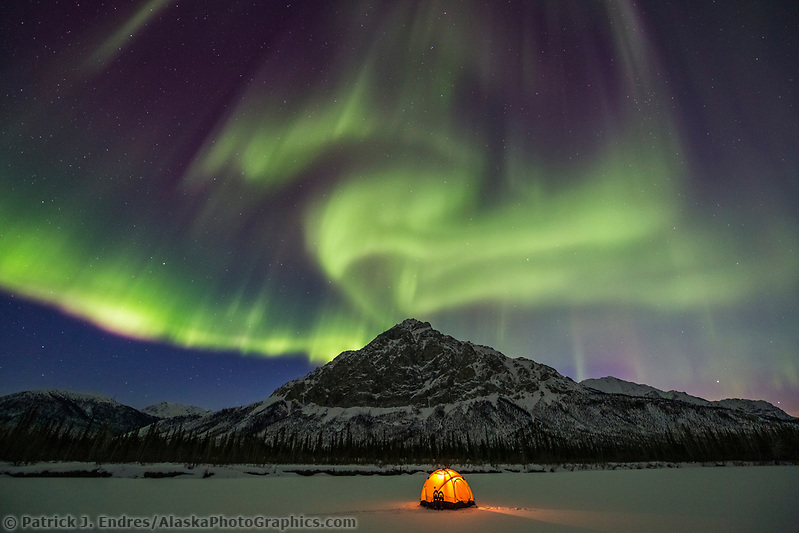 Northern lights photos and natural history information. 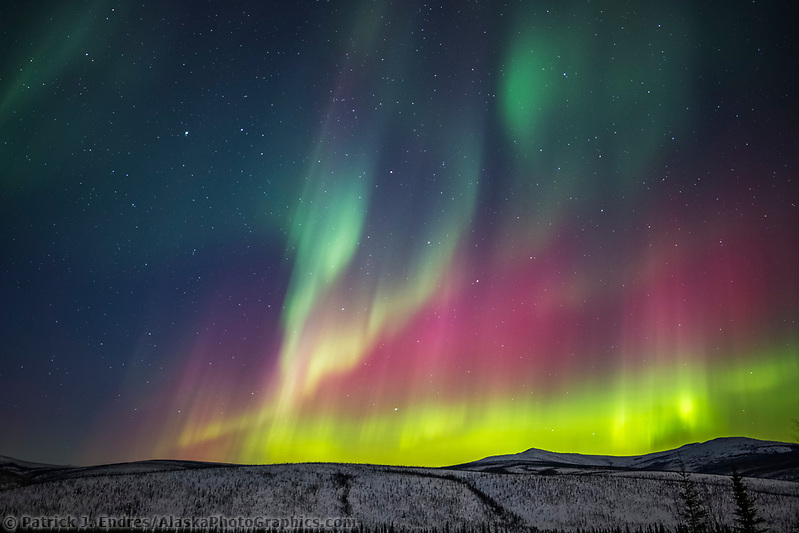 The northern lights are caused by high-speed electrons and protons from the sun, which are trapped in the Van Allen radiation belts high above the earth and then channeled toward the polar regions by the earth’s magnetic field. These electrically charged particles enter the atmosphere and collide with air molecules (chiefly oxygen and nitrogen), thus exciting them to luminosity. 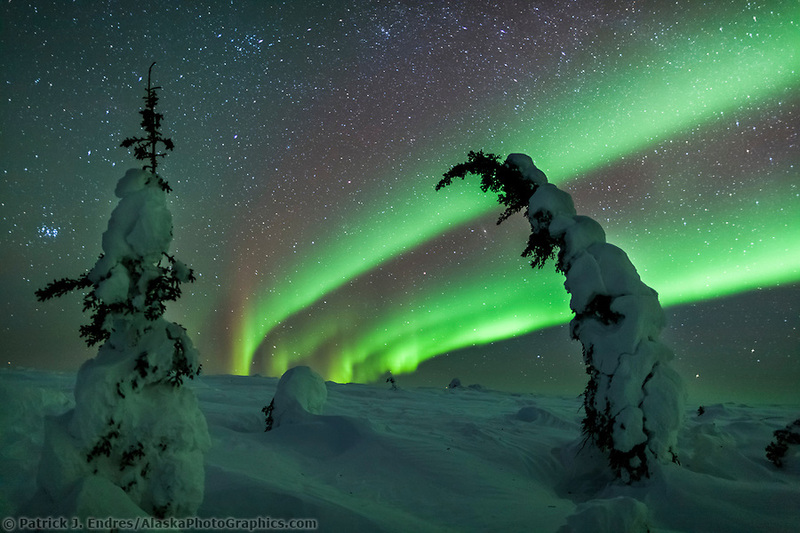 The northern lights appear between 35 mi and 600 mi (56 km–970 km) above the earth, as patches of light, in the form of streamers, arcs, banks, rays, or resembling hanging draperies. The displays coincide with periods of greatest sunspot and solar activity. 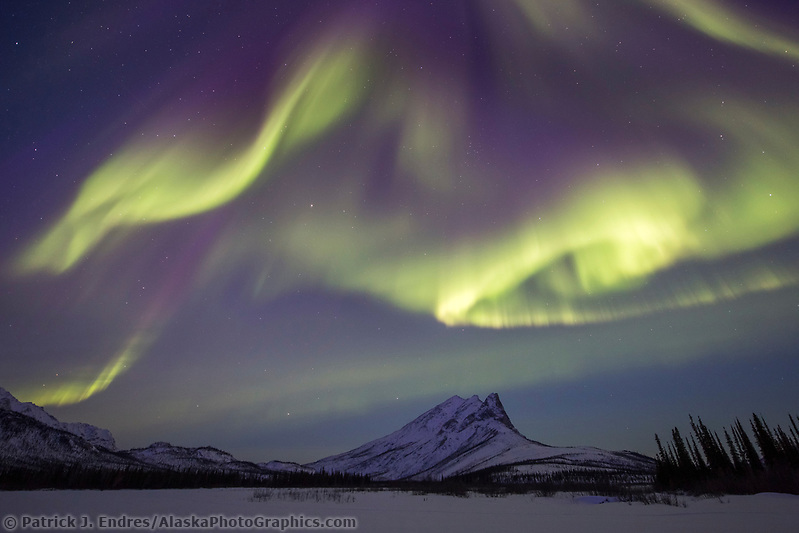 All of the northern lights photos here may be licensed as stock photos for your commercial use or purchased as fine art prints for your home or office. 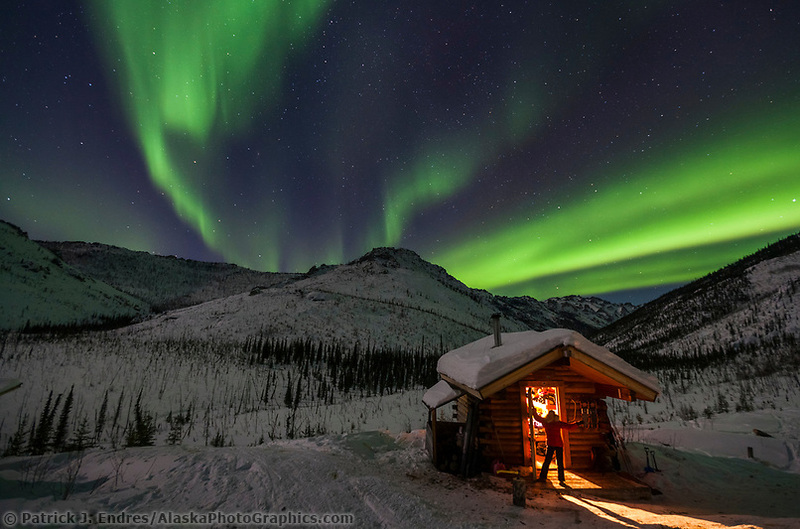 I wrote a free article titled: How to Photograph the Northern Lights that addresses basic instructions and tips on how to photograph the northern lights. Where to go, how to dress, batteries, lens types, etc. 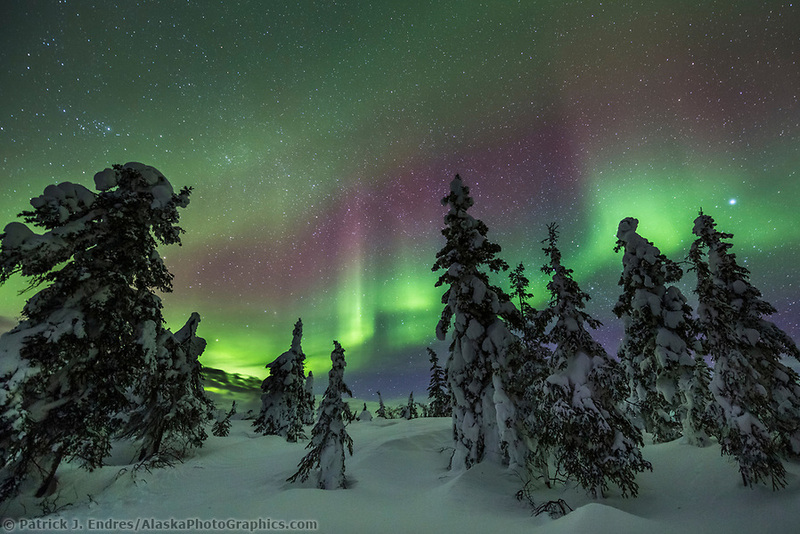 It served as the basis for a much more extensive and comprehensive treatment on the subject which turned into a wonderfully illustrated, 330-page tutorial that will equip you with all of the critical information necessary to capture your own photos of the northern light. 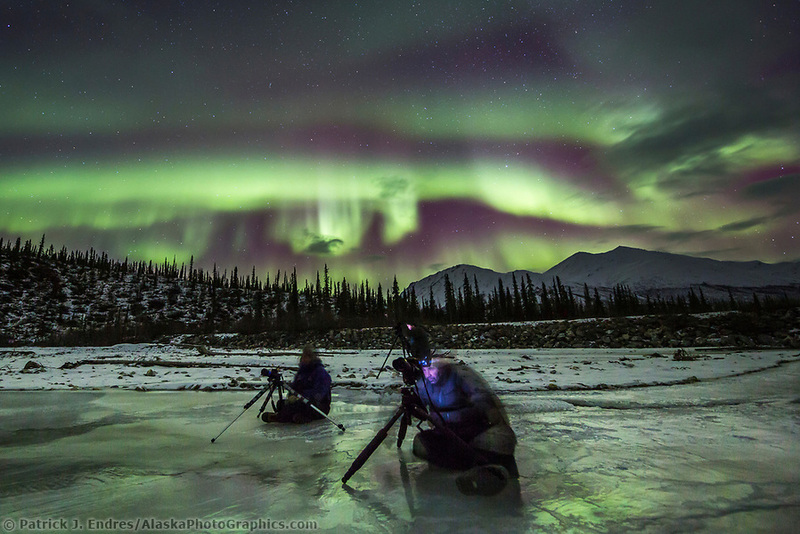 It is in a digital eBook format: How to Photograph the Northern Lights eBook. 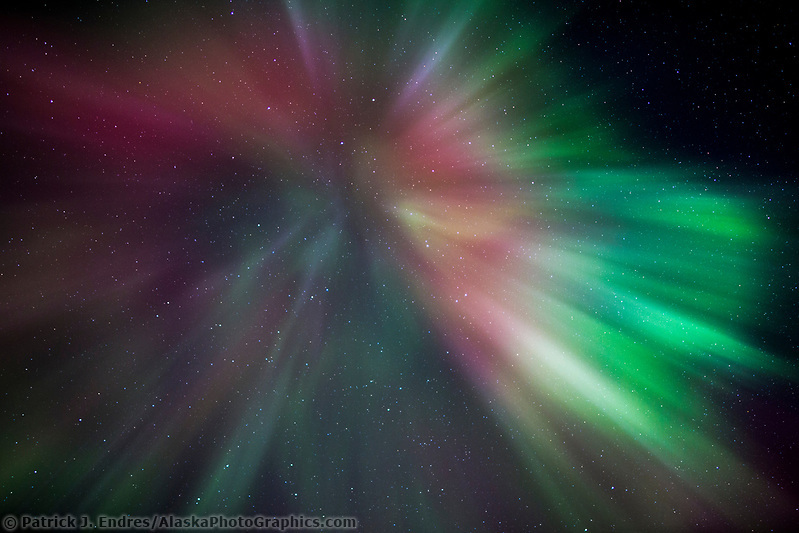 Red and Green-Oxygen: Light emitted by the northern lights tends to be dominated by emissions from atomic oxygen, resulting in a greenish glow and in the higher altitudes the red glow. Other colors-Nitrogen: Variations in color, especially those emitted by atomic and molecular nitrogen (blue and purple) change very quickly and result in dynamic movement in the northern lights.